This here article is for people with 3 particular characteristics and those are; you own an Xbox One, you love racing games and lastly, you love experimenting. If you tick all the boxes then this is going to be very exciting for you. As someone who loves racing games, you would know that driving with the standard controller is not the most ideal experience and there are a number of countless driving pads that would serve to give you a much more enjoyable time behind the screen. The only problem with these solutions is that they are expensive and in our cash strapped country your priorities probably lie elsewhwere. What if I told you there’s a middle-ground that you could experiment with and have some fun. 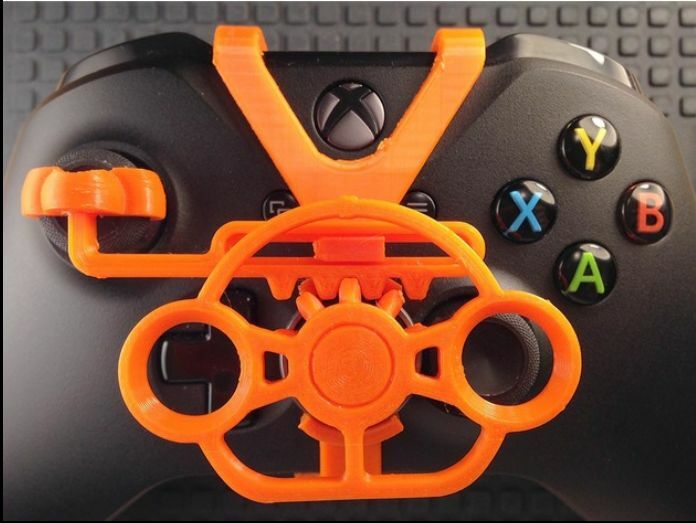 A 3D printed mini-steering could be the solution to some of your worries. You can also check out the reddit and thingiverse bolg posts detailing how exactly you make this! Is there a PS4 version? I play all my games on the PS4 and it saddens me to say there’s no alternative for the PlayStation. The controllers are not exactly layed out in a similar fashion so that’s that. Hey, you can reach out to https://www.facebook.com/the3dguyszimbabwe/ I’m sure they’ll be able to help you!